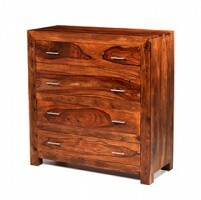 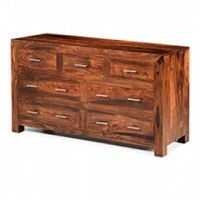 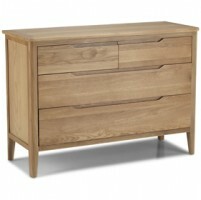 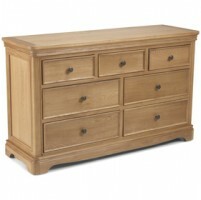 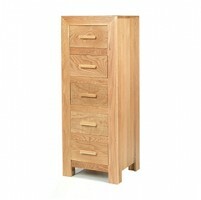 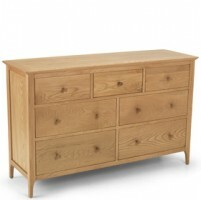 Your master bedroom will be all the better for having this practical, versatile and beautiful chest of drawers in it. 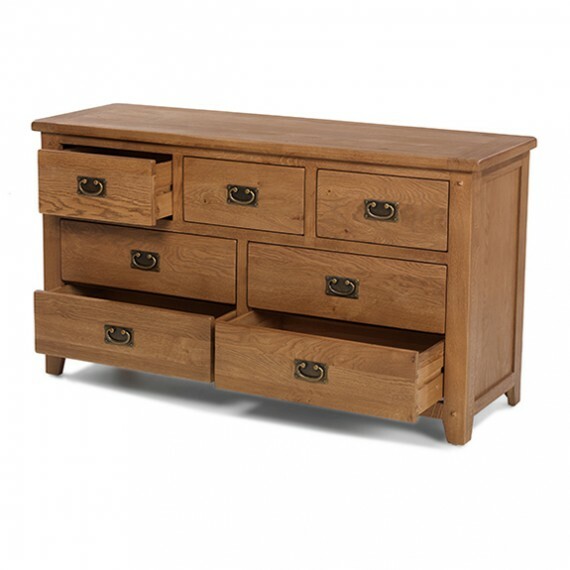 Low and wide so it'll fit under a window, it has a thick top that will be ideal for displaying photos or ornaments or using for extra storage space. 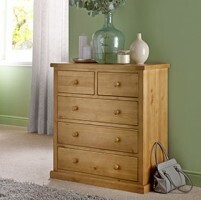 It would also look smart in a hallway or even in your living room clearing up clutter. 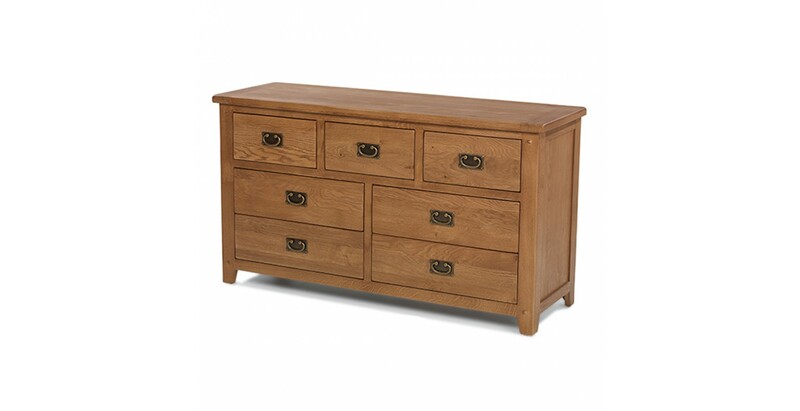 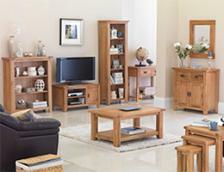 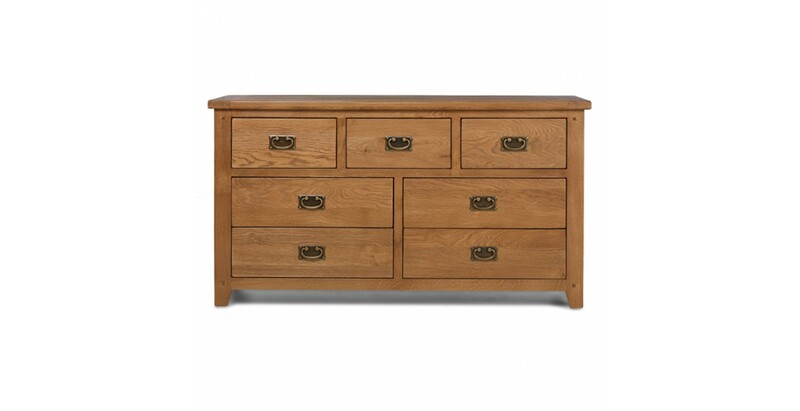 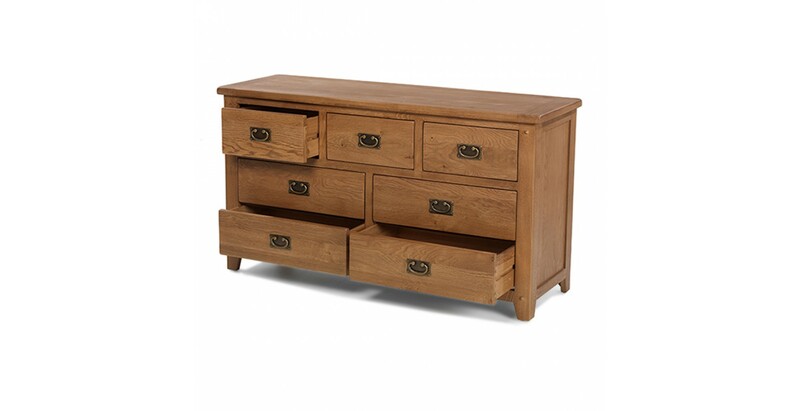 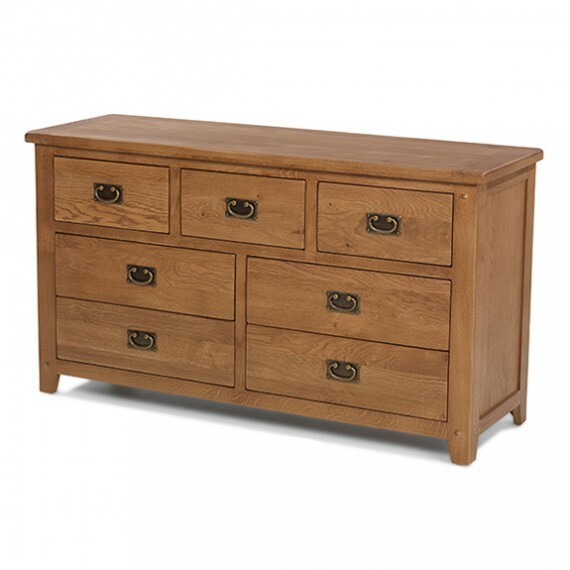 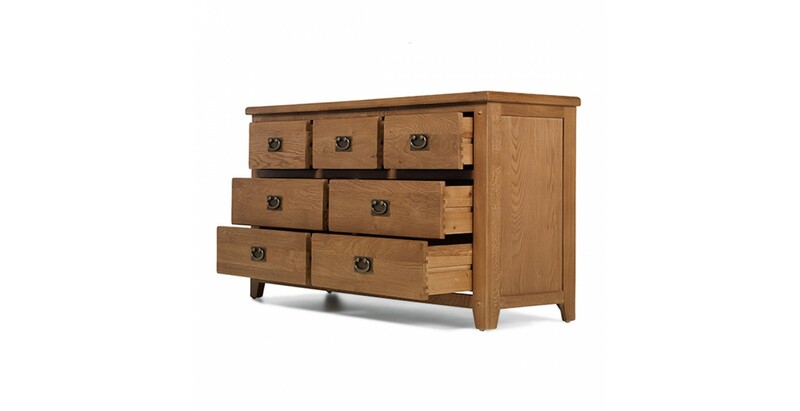 Crafted from chunky oak, it has a reassuring solidity and natural warmth that will support a wide range of decors. 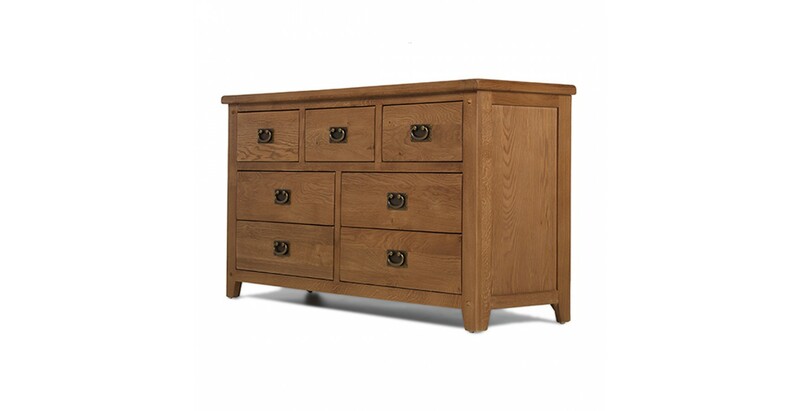 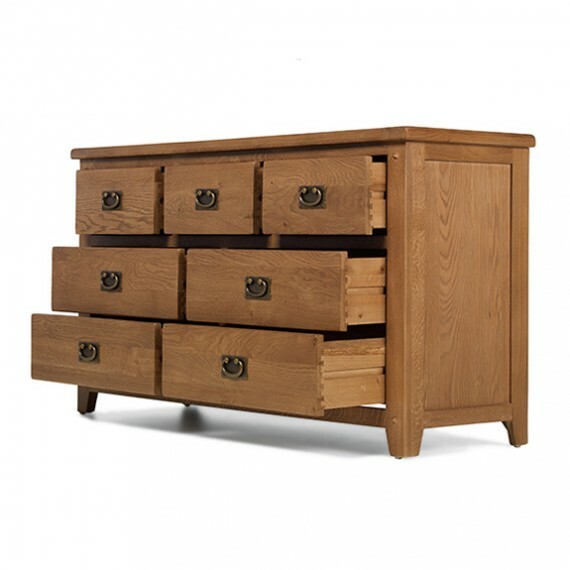 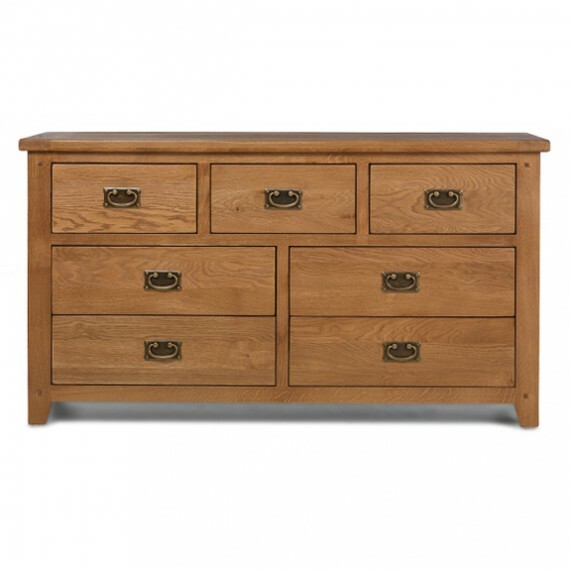 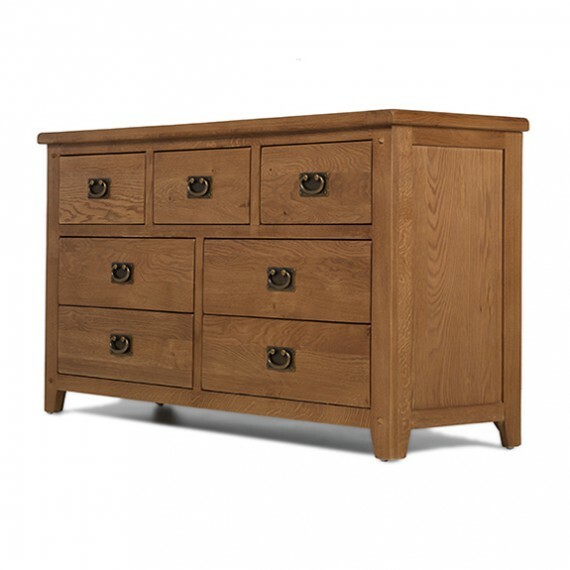 Seven dovetailed drawers with vintage-style drop handles and back plates will keep everything organised and touches like the peg detailing, gently rounded corners and tapered legs add country-style character.